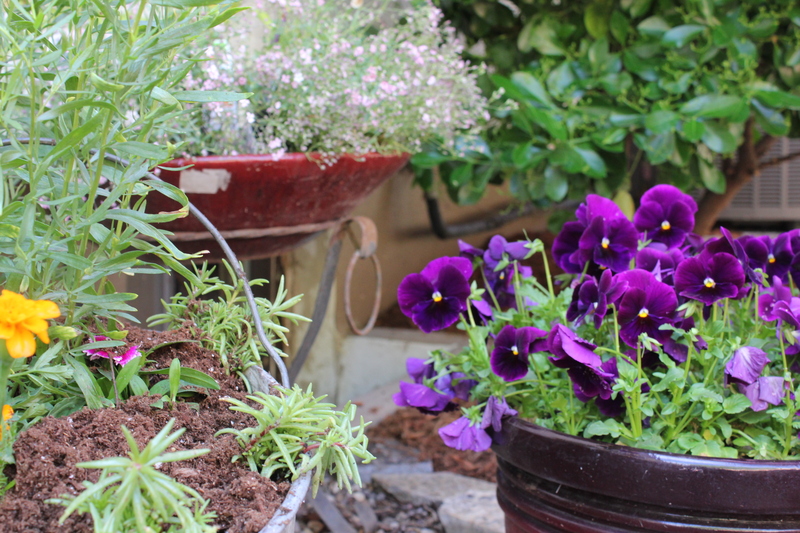 Early summer in Boise, ID is the right time for a garden tour. There has been just enough warm weather to bring out wonderful perennial blooms, well-root the bold tropicals, engage the flower power of annuals and the vegetable gardens are looking most palatable. It is the perfect time to get out and do some walking and talking… I mean strolling and ‘oohing’ and ‘ahhing’ in lovely locales that are sure to please the senses. 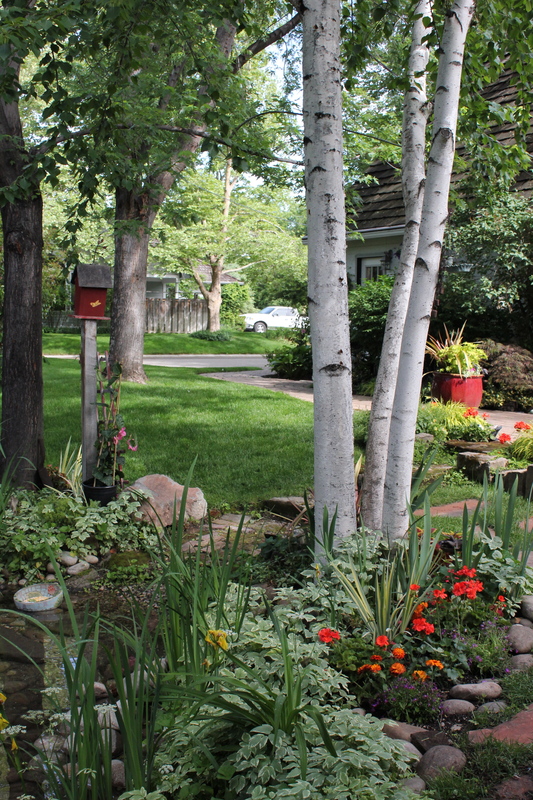 Yes, the Boise Garden Tour (June 23, 10:00 a.m. – 5:00 p.m. rain or shine) is held at the perfect time to enjoy some leisurely outdoor fun. Grab a friend and spend several relaxed hours meandering thru botany-based creativity, maybe packing a camera or journal and visiting with excited garden keepers ready to share their tips. Be prepared to be inspired! If you have never participated in this local event, (in its 26 years) this is a great year to start. The tour is well-mapped including six homes on Boise’s East End within a 2 mile radius of each other as well as a trip to the Bureau of Land Management’s Firewise garden adjacent to the Idaho Botanical Garden. Now who can’t use a bit more information on firewise plants and planting techniques? 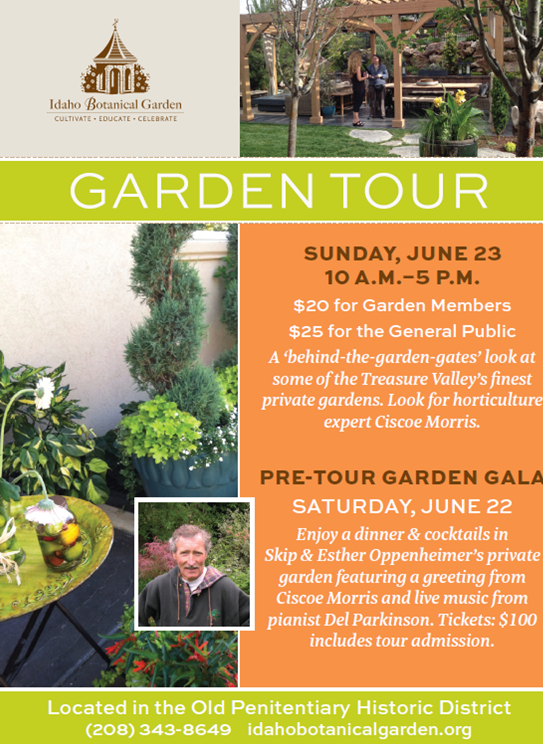 And especially fun this year is a visit from Seattle garden celebrity Ciscoe Morris! He is SO knowledgeable, entertaining and stimulating you can’t dare miss him! And yes, he knows plants well enough to give ideas and advice on growing even here in our dry, hot-summer climate! Gardening Is Fun; Giveaways are Great! With the wonderful support of the Idaho Botanical Garden and in the spirit of gardening is fun, social and educational, igardendaily is holding a drawing to give away two tickets to the 2013 Boise Garden Tour on June 23rd. To enter the igardendaily Garden Tour ticket drawing just leave a comment at the bottom of this post or on the igardendaily FaceBook page post naming your favorite plant (any ornamental or edible) to grow in Southern Idaho. Or, if new to gardening, the plant you are most excited to grow. Make sure your identity is easily distinguished in case you are the winner! If you want to provide details of why a plant is your favorite, please do! Let’s get some good ‘garden speak’ going! The ticket giveaway drawing can be entered starting June 5th thru midnight, June 12th. Drawing will be held on June 13 and winner announced June 14th. My favorite plant is peony. Oh, me too. I’m suddenly attracted to the single peonies vs. the doubles. I saw a beautiful one called ‘blaze’. I’m soooo looking forward to the garden tour!!! My favorite plants are hasta’s, hydrangas and ferns! I like Hydrangeas too. Have you been able to keep any with blue blooms or do they always go towards red due to the pH of our soil. I can’t narrow down a favorite, but I am excited to try growing berry bushes for the first time this year! I am interested in a recommendation for a great Yellow lupine. Any suggestions? My favorite plant is Agastache Golden Jubilee! I am growing several species of the Agastache family this year! I have yet to grow Agastache here. Why? I don’t know. I need to find some space and get one going! Love Peonies. So many color choices, large blooms! I love peonies. There are so many color variations and the blooms are large and showy. Purple coneflower is what I most want to grow this year! Thanks for the contest.